Why did this happen to me? When your romantic partner has betrayed you, that’s your burning question. After realizing her husband was a sociopath who never loved her, and only used her, Donna Andersen demanded answers — of God, the Universe, anyone who was listening. She got them — but the answers weren’t what she expected. Love Fraud tells two parallel stories. The first is the true story of Donna’s marriage to a sociopathic con artist, James Montgomery. He promised a life of luxury, but took $227,000 from her, cheated with at least six women, had a child with one of them and committed bigamy. Donna knew none of that as she struggled to make her marriage work, and when the truth was finally revealed, she was devastated — but found a way forward. The second story is a spiritual journey. Seeking to understand why her life was ravaged, Andersen learned that her soul planned the entire experience. Her soul’s objective was to release betrayal that went back through multiple lifetimes, enabling Donna to return to wholeness and find a true, lasting love. The main battle, however, was internal. Donna reveals her anguish and emotional pain. How could she have been so naive? Why did this happen to her? 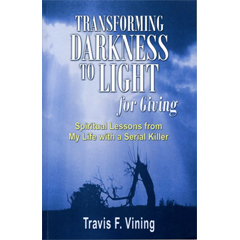 But as she struggled to rebuild her life, much to her surprise, she learned that the entire ordeal had a spiritual dimension. Donna takes the reader along with her as she gradually becomes aware of the real purpose of the experience—releasing traumas of the past so that she could find a true, lasting love. The e-book edition is abridged, yet is still a riveting tale with empathetic character development, dramatic tension and a satisfying, inspirational ending. It is available in all e-reader formats. 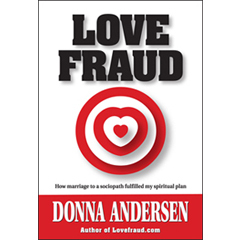 For more information, including a sample chapter, visit the Love Fraud book page.